Some of the things that you may think about when it comes to professional A/V setup in Tacoma is the cost and time savings. When you know that you are looking for a better audio visual installation for your home or office, working with the best in the area is the only way to go. Do you run a facility where media is often on display? If so, you need to have an A/V system that is integrated beautifully and seamlessly. Because this can be a complicated task, you will always need to find the right contractor to get the job done. The A/V setups today are much more advanced than they used to be in the past. 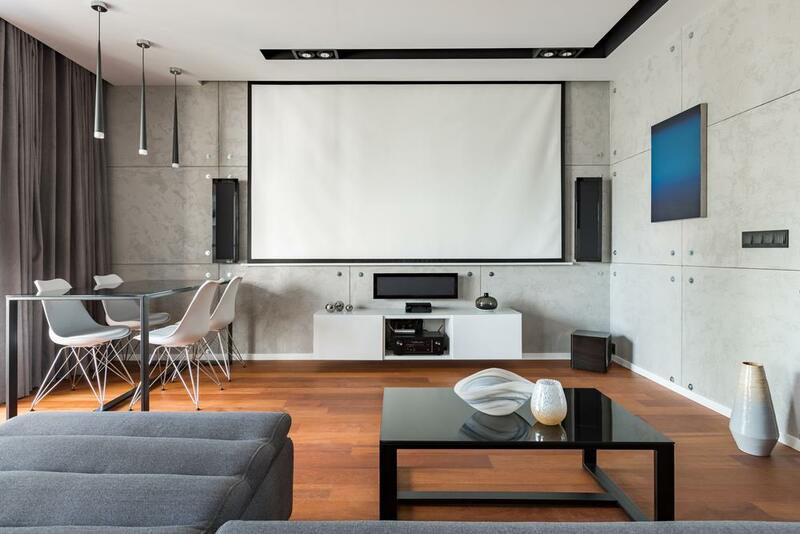 All you have to do is take a look at the changes that have come about on the home entertainment front, and you can see all of the different brands and components that people have to choose from. Hiring the right professional for the job will also help you to have a better understanding of the differences in these products and how you can make the best selection for your home or office space. Deciding to go it alone without the help of an A/V installer, you are running a risk with your equipment. You could waste a fair amount of time and money, while also growing extremely frustrated in the process. If you give us a call at Home Entertainment Solutions, you will quickly find that our professional team has all of the experience and knowledge that you need to have a perfect installation from start to finish. When you need quality A/V setup in Tacoma, you can trust our staff at Home Entertainment Solutions. Call us today at (844) 437-4621 for a consultation.